Libbey's Embassy series of glasses feature simple shapes and thick-wall construction to create drinkware that's sophisticated yet accessible, making it right at home in upscale establishments as well as more casual venues. 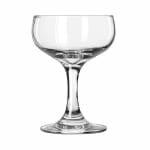 This Libbey 3773 champagne glass features an extra-wide bowl that allows effervescent drinks to breathe and bubble so that patrons can enjoy the full aroma and experience of their carbonated beverages. The Libbey 3773 is protected by the Libbey Safedge® rim and foot guarantee, meaning that the company will replace the piece if either the rim or the foot chip. This piece has a 51⁄2-ounce capacity, making it perfect to serve the standard 3 to 31⁄2 ounce champagne serving size. 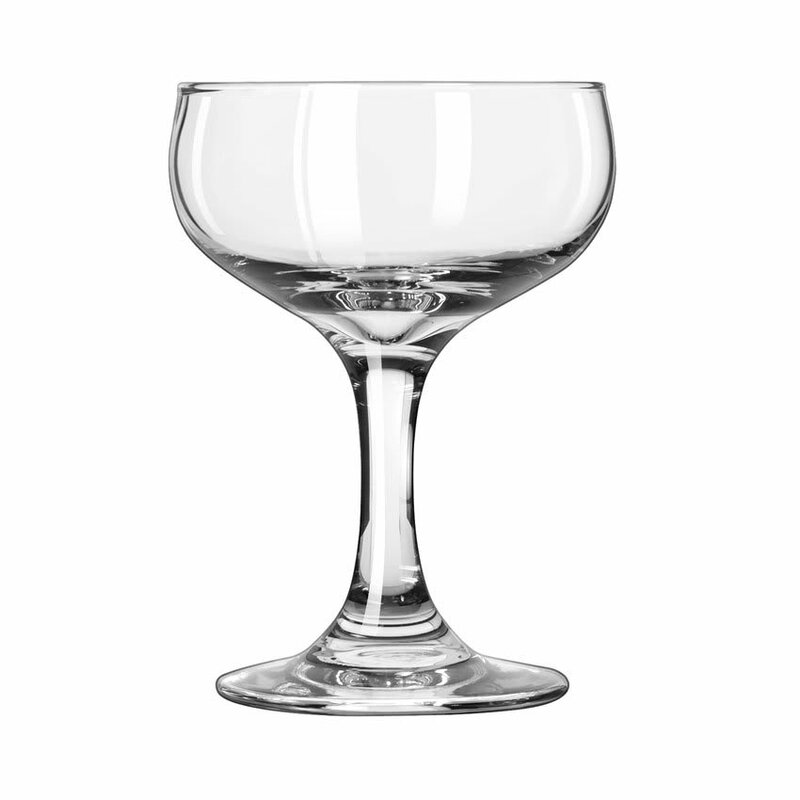 There's also room in the glass to make it suitable for serving cordials like fresh fruit and dessert. This Libbey champagne glass also makes a classy container for serving ice cream. Overall Dimensions: 41⁄2 in. H x 31⁄4 in. top dia. x 23⁄4 in. bottom dia. x 33⁄8 in. max dia.